I have recently shown you how to replicate databases between two Percona XtraDB Clusters using asynchronous MySQL replication with Juju . Today I am going to take you one step further. I will show you how to configure circular asynchronous MySQL replication between geographically-distributed Percona XtraDB Clusters. 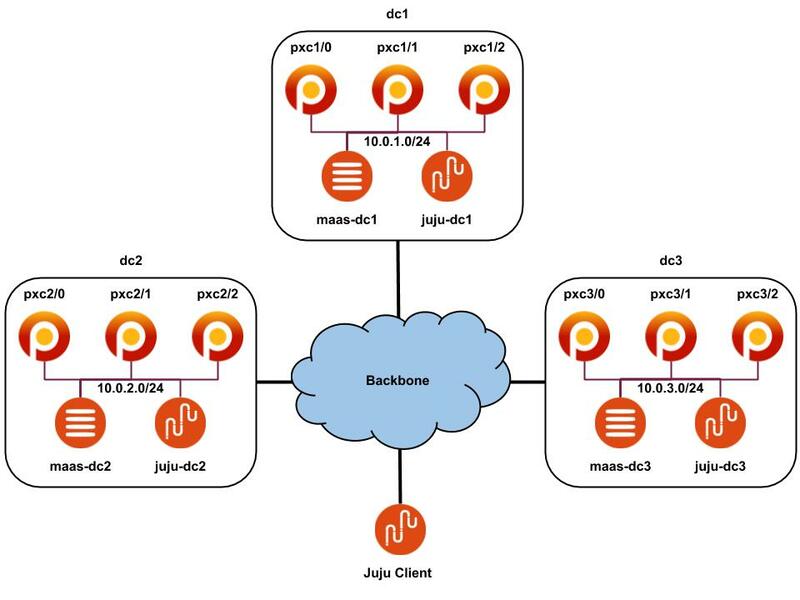 I will use Juju for this purpose again as it not only simplifies the deployment, but the entire life cycle management. So ... grab a cup of coffee and see the world around you changing! P.S. : If you have more than three sites, don't worry. Circular replication scales out, so can replicate the database across multiple Percona XtraDB Clusters. If all units turned to the active state, you're ready to go. Remember to check the status in all models. It is there! It should be created on pxc3 as well. Go there and check it. At this point you can write to example database from all units of all Percona XtraDB Clusters. This is how circular asynchronous MySQL replication works. Isn't that easy? Of course it is - thanks to Juju!